● We need to log in your Uaplay account to process the trade. 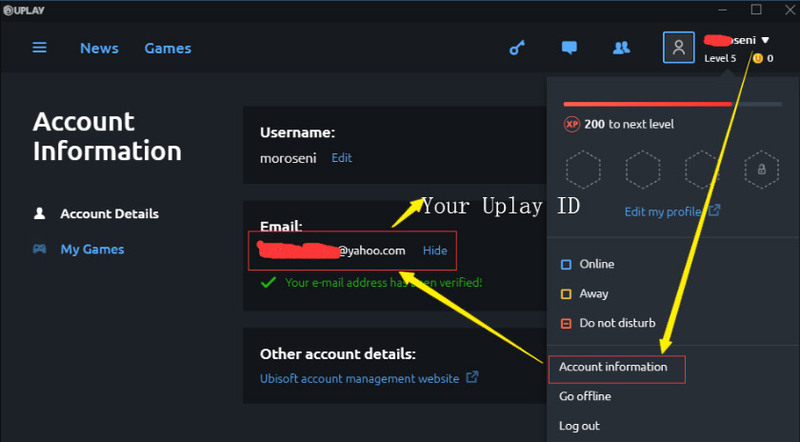 ● Please provide your Uplay account login Email and Password correctly, Especially pay more attention on Caps and Lower case spelling. Dont make Spelling mistake at password. ● If you are using STEAM client, please follow the steps in the chart to get your Uplay Account. ● Close your Uplay until you receive an email informing you transaction is complete. ● Only Support Platform PC.